Robinson Marine Construction Co. of Benton Harbor, Mi. 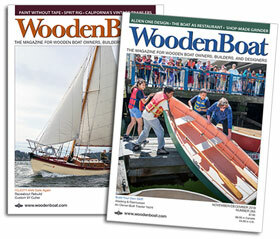 built boats from 1925 thru 1960. Their strong years were during the war years building Coast Guard, Army and Navy PT boats from 1940-1945, largely in the 40′ range. After that they built vessels like this one for sale. This vessel was mainly restored in 2001 and was in excellent condition until recent years. Vessel was being used as recent as 2015, until pulled for winter storage that year and hasn’t been floated since. Normally takes 1-2 days soak time. Engines always run and fired up-they were winterized. Believe they are inline 6cyl gas updraft Continetals or Lincolns?—Can verify. Vessel has one notable spot (perhaps more unknown) area of rot on port transom just above water line. This vessel needs TLC but is a viable restoration and would be sad to see her go the way of most wood boats. Selling price would include 1 yrs free storage, but then vessel must be floated or moved. Not looking for long term storage at our marina. First buyer of $9,500 takes her. I’ve seen another listing of a 40′ Robinson for $99,000 refurbished and this unit of ours has much neater lines and bow flare. Very few (if any) Robinsons left in this nice a condition. Our marina is right next to the facility that used to build these.